The Professional team at Air Hogs SCUBA has provided more quality ERDI training combined with Technical Rescue and Fire training than any other facility in the Nation. 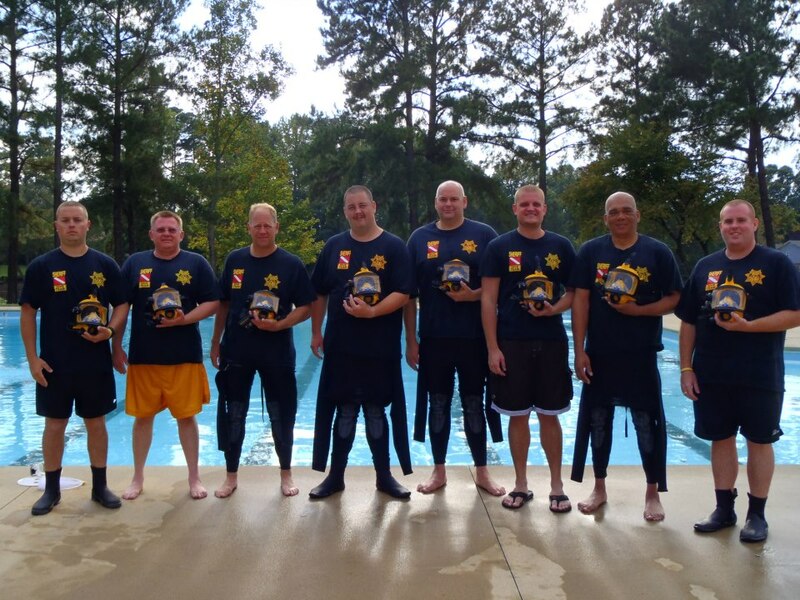 When it comes to diving operations, be it rescue or recovery, AHS has developed the tools needed to create well-rounded, highly trained, team oriented divers and team / department leadership. It is time to stop simply thinking your team is ready for the call, and transition them into a unit of confident and knowledgeable individuals who know the importance of working towards a common goal instead of barely meeting the minimum standard. Keeping our instruction ability as diverse as possible is one of the hallmarks of AHS. Bringing in PSIG to help instruct has opened a lot of doors for us and we could not be happier with the results of this partnership. We will instruct almost anything you want to learn. If AHS or PSIG is not the best instructor, then we find the best and bring them in. Dive training is something we take very seriously. In the Public Safety world, there is more that what meets the eye when it comes to why a team should master their skills. Not only do the team members need to remain safe, there is also a need for the community which they serve to feel safe as well. AHS has a storied history of training the men and women that have to perform under stress and seeking to help a family find closure. Technology grows more and more each day. AHS knows that the best equipment is needed to help eliminate risk while also making the job of a Public Safety diver as easy as possible. With the addition of Dark Water Vision, evidence recovery can be completed in a way never thought possible. Who should we contact to verify your affiliation? Let us know which course you are signing up for along with any other information you wish to share with us. Thank you for your registration. We look forward to working with you. Location, specific times, and general forms will be sent to you within the next three days. If you do not receive this information, Please contact us immediately at Info@airhogsscuba.com or 919-747-9021.